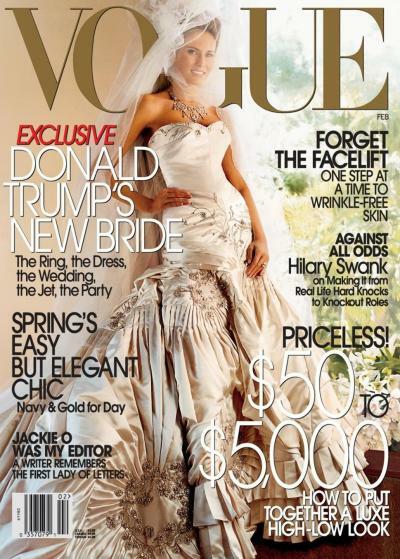 This entry was posted in Bill Clinton, Hillary Clinton, Hollywood liberals, liberal hypocrisy, Liberals/Democrats/Left, Media, Melania Trump, MSM, Trump Derangement Syndrome, United States, US Presidents and tagged Ann Wintour, Christiane Amanpour, First Lady Melania Trump, media bias, Vogue magazine. Bookmark the permalink. Ok, strike out Michael Obama. Caitlyn Brenner, Rosie O’Donnell, they are lesbians, democRats, etc. We have many powerful women -entrepreneurs, CEOs, etc that can be in politics doing a good job all for the best of the constituents and our country. I stand for that. I don’t buy Vogue.